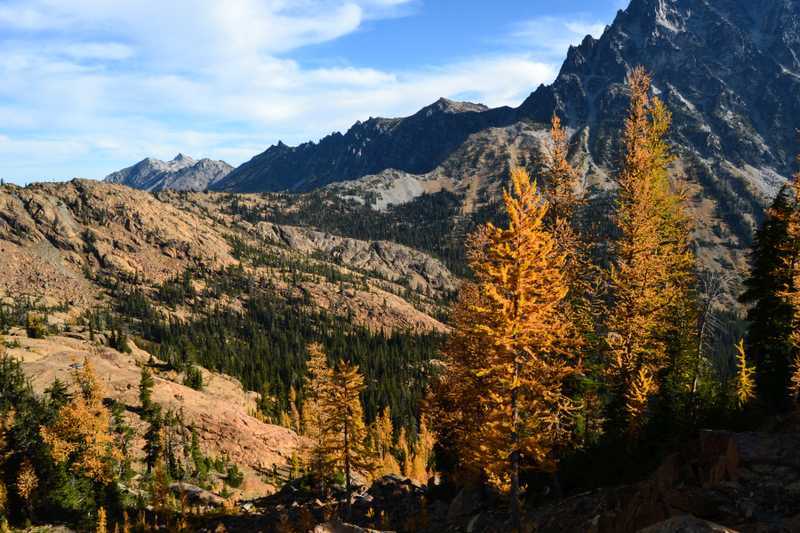 Elevation Gain: About 2000 ft.
My second autumn adventure for the weekend took me to the Lake Ingalls trail, to see the larches. 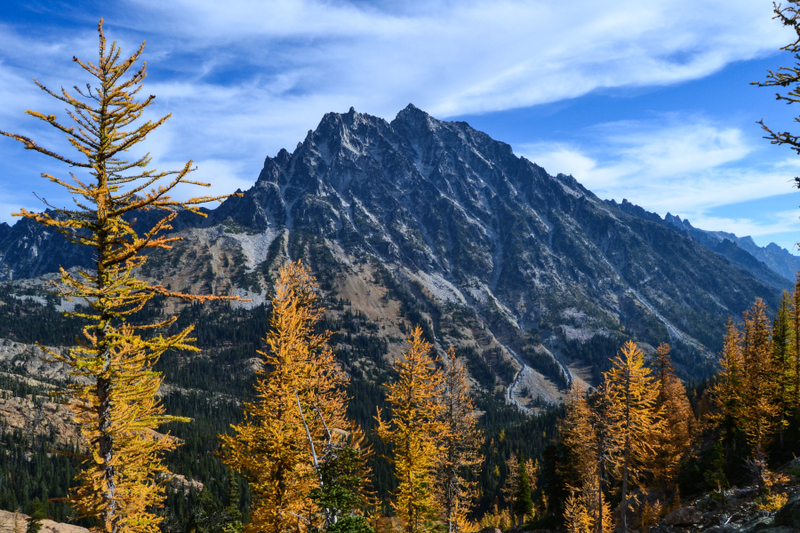 Autumn colors in the Pacific Northwest are very different from autumn colors in the rural Northeast. The bright orange and red sugar maples, red oaks, and yellow birches and willows I grew up with have been mostly replaced by the browny-yellow of bigleaf maples contrasted against the steadfast evergreens beside them. 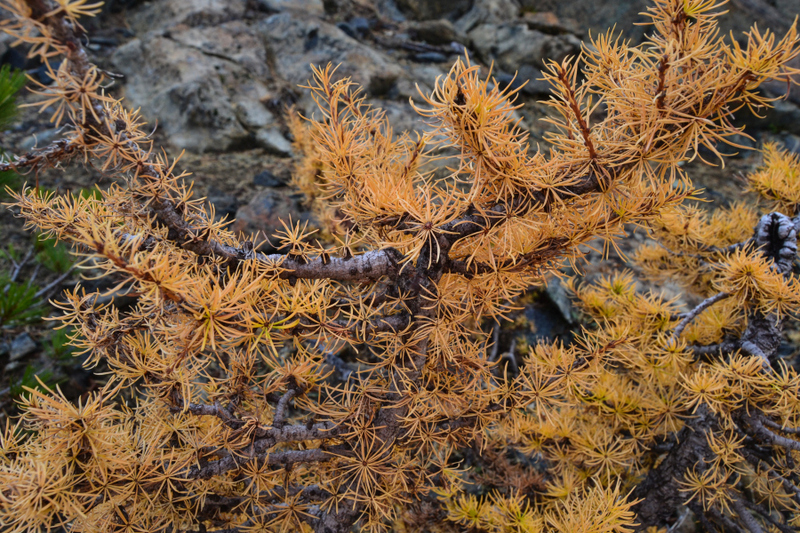 The mountains also have bright red huckleberry and other low growth, and something I’d read about but never seen – the golden needles of the Larix occidentalis. 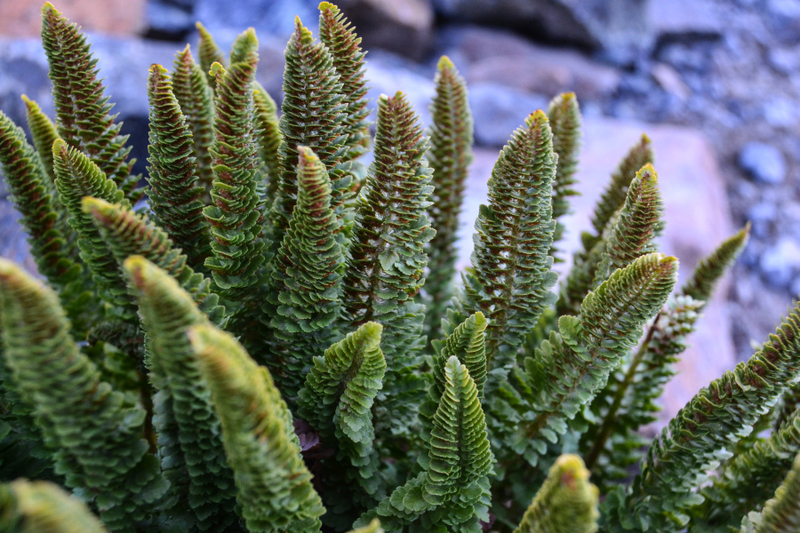 We have eastern larches at home – or tamarack, as they’re also called. There’s a row of them beside the dog’s house in our backyard. They shed their needles in the fall too, but with nothing like the spectacle exhibited by their western counterparts. And I had to see it for myself. 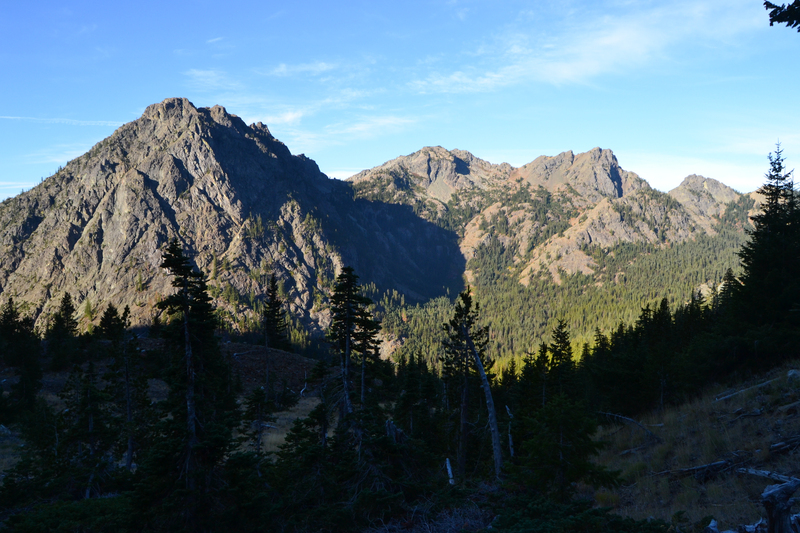 So I left Seattle around 4:00, had to double back for my wallet, and ended up reaching the trail head around 8. Already crowded with cars from the night before, I parked on the side of the road* and headed off toward the trail. Starting so early meant that I encountered only a few other groups on the way up. Two groups coming down, and five or six groups that passed me on their way up. More and more people were catching up to me as I reached the pass, and on the way down I encountered an almost constant stream of people. 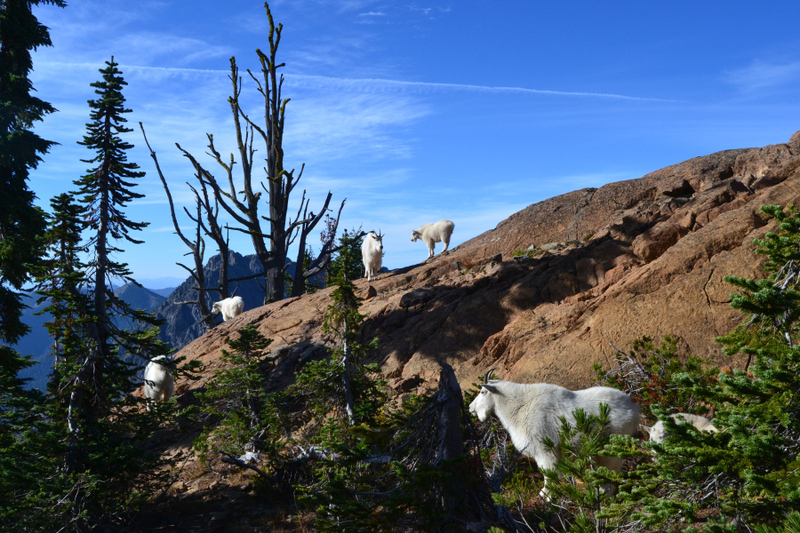 About two thirds of the way to the pass was the first mountain goat encounter! 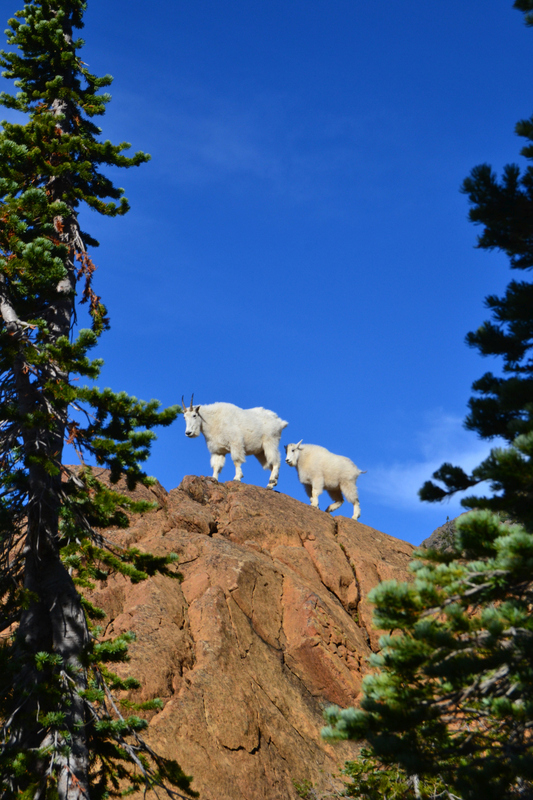 This was my first time seeing them during a hike, and it was marvelous. I tried to stay very much out of their way, and luckily they seemed more interested in the sunny rocks than anything else. 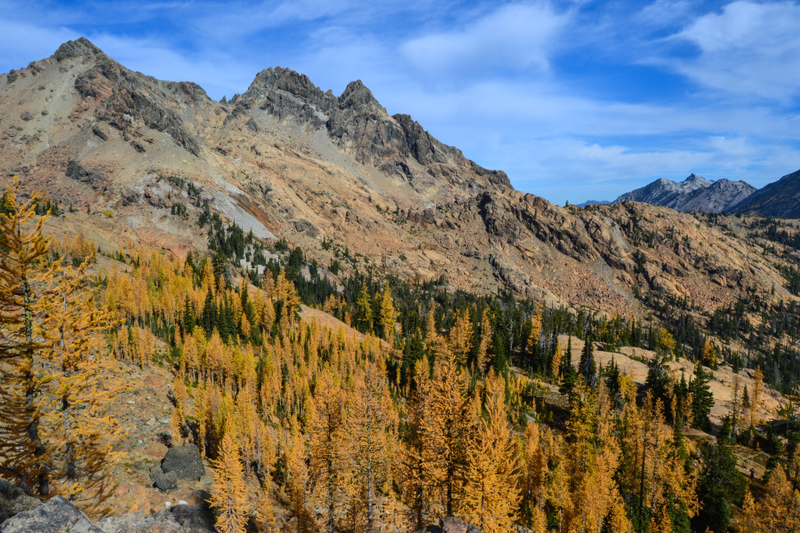 At the point where the trail enters the Alpine Lakes Wilderness and reaches the pass, the larches appeared. Bright and bold against the blue sky and the silhouettes of mountains beyond. I stopped just a little ways beyond the pass, where I paused for quite a while to enjoy the views. The color was positively radiant. I chose to turn around at this point, so I did not in fact reach the lake, but it was still an immensely satisfying hike. 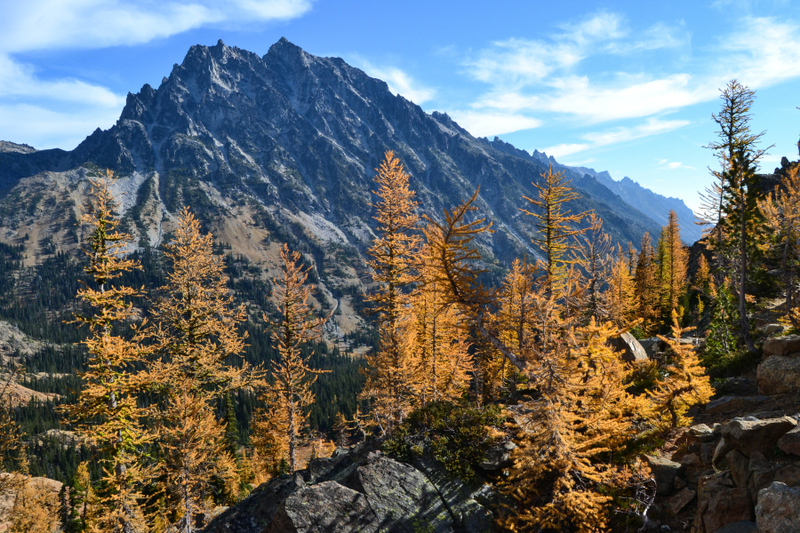 It was probably one of the last clear days I’ll have to hike in the mountains, and the long drive was definitely worth it for the golden larches and the bright sun. *A note on parking – signs near the trail head say to only park on one side, but farther from it the signs disappear. As more and more people park, they start to fill up both sides, leaving just enough room for one car to drive through. This made getting out in the afternoon rather nerve-wracking, when at one point I met another car and I, as well as the 2-3 cars behind me, all had to reverse about 30 car lengths, trying to find a spot to pull over that wasn’t dangerous due to steep ditches on the side. Drive very carefully, use your horn on blind spots, and try to get in and out early enough to avoid the crush. If I go again I plan to get to the trail head as close to sunrise as possible, or to take a weekday to experience it a little more quietly. If you’re going to keep my image in your post, would you mind correcting the name of my website in your credit? It is called Seek the Sky. Thanks!